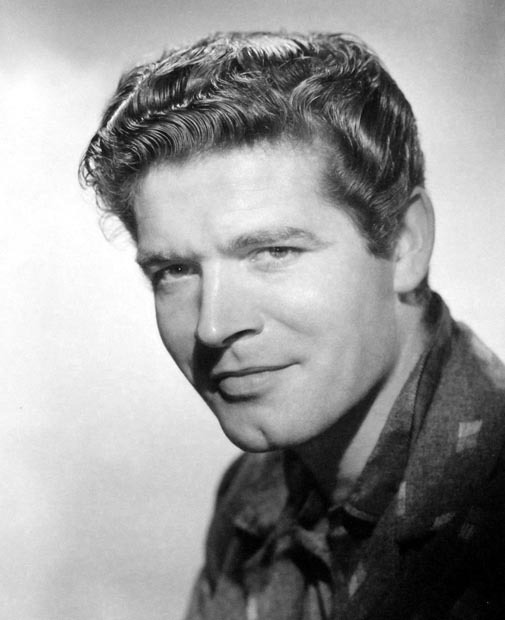 Stephen Boyd had roles in over 60 films and television dramas throughout his relatively short life. Without doubt his most famous of these was the leading one of the ruthless and brutally ambitious Messala in Ben-Hur, one of the most successful and famous films ever made. He was born William Millar (Boyd was his mother’s maiden name) in Whitehouse, County Antrim and moved to Glengormley at a very early age. He became interested in acting quite young, starting with a local amateur group at nearby Carnmoney, then joined a professional company, the Group Theatre in Belfast. He also did some radio work. He moved to London, where at first he failed to get much acting work, which he attributed in part to his accent; as solution to this he adopted a Canadian accent (he had in fact spent some time there and his father was Canadian), but for some time nevertheless made ends meet by amongst other things busking in Leicester Square and working as a doorman. For a time he had so little money he would sleep on park benches. His doorman job was at the Odeon cinema, and as the famous Ulster actor James Ellis would later recall, this was fortuitous as Boyd secured a chance meeting with Sir Michael Redgrave, the actor and director, who was impressed by him and through Alexander Korda Boyd was able to secure a contract with Korda’s film company. His first credited role was the TV film, A Nest of Singing Birds in 1954 and in 1956 he portrayed an Irish spy working for the Nazis in The Man Who Never Was, using his southern Irish accent. After Korda’s death Boyd would secure a contract with Twentieth-Century Fox, and he was beginning to find himself on screen with such stars as James Mason (Island in the Sun), James Robertson Justice (Seven Thunders: Boyd had the lead billing), and Brigitte Bardot (Heaven Fell That Night). He had a major part in a western, The Bravados, in which he was third lead behind two other leading stars, Gregory Peck and Joan Collins. That was 1958: the following year came his best-known role, cast by William Wyler as the villainous Messala in Ben-Hur, ahead of such names as Charlton Heston – who eventually starred in the title role himself – and Kirk Douglas. Heston recalled later that Wyler, wishing to contrast Heston’s appearance to Boyd, had Boyd fitted with brown contact lenses, which gave him a lot of trouble when filming as most of the action was set in the sand of the Middle East (and filmed in Rome). However, Heston wrote that Boyd “compensated with Irish guts. He was fine” adding that his performance in the part was “absolutely superb”. The film was a huge success financially and critically; it was nominated for 12 Oscars, of which it won 11, which no film had yet achieved none would achieve for another four decades. Boyd himself was awarded one of the film’s three Golden Globes by the Hollywood Foreign Press Association, in his case for Best Supporting Actor in a Motion Picture. Through the 1960s Boyd averaged nearly two films per year, including another Roman epic, The Fall of the Roman Empire, directed by Anthony Mann, with its all-star cast of which Boyd was one, playing Livius, a Roman general who is meant to become Emperor but has to be content with eloping with Lucilla, played by Sophia Loren. However, despite cast and production, the film was a heavy failure commercially, and Boyd would later nominate this as a significant factor in his increasing interest in production rather that acting; he established his own production company in 1973. In The Oscar, he played an actor who is rather odious character who is nominated for the award, but when he loses out to Frank Sinatra, he is crestfallen but no-one has any sympathy. 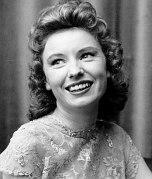 (The film is notable for its cast: it was impressive, with a number of leading actors and critics playing themselves; though Boyd, the lead role, was cast out of character as he was a popular figure in Hollywood.) In Fantastic Voyage, he, along with Raquel Welch, Donald Pleasence and others are reduced to a size so miniature they can enter the body of a defected scientist and move around inside it, trying to save his life; led by Boyd’s character, they succeed, but only just. In Shalako he is in the Wild West with Sean Connery and Brigitte Bardot; in The Squeeze, set in London, he is a ruthless gangster who kidnaps a woman and her daughter. This British production was his last English-language film; his last credit overall was as Count Dracula in a German production. Although a handsome man with a benign smile, he was more often than not cast as “bad guys”. But this tribute to Boyd came from Paramount Pictures producer AC Lyles who said his qualities were evident from an early stage of his career in the USA:. Boyd was married twice. His first marriage lasted three weeks; he was playing golf with his second wife when he suffered a fatal heart attack.